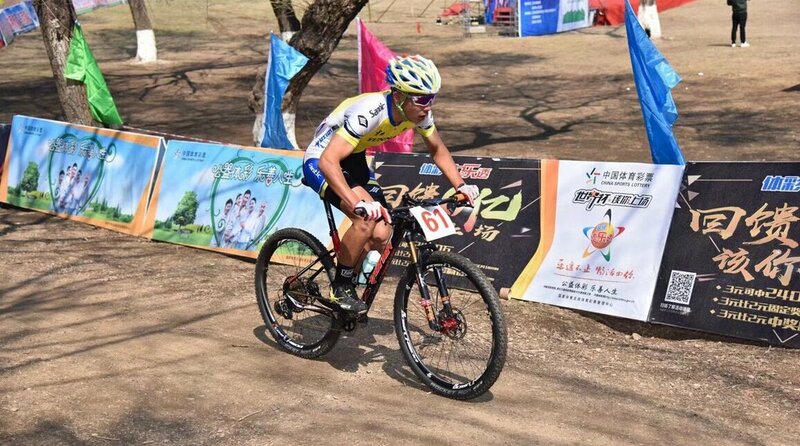 MOON driver, China mountain bike League, Fushun Railway Station is the perfect ending. Yesterday, Ma Hao won the cross-country championship. Today he won the second place in the individual time trial. 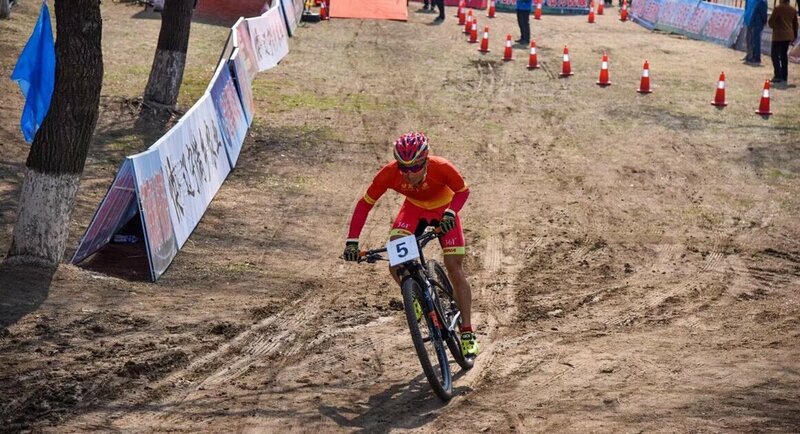 In April 15th, the fourth stop of Chinese mountain bike League, the second day competition of Fushun Railway Station in Liaoning began. This day's game has a personal timing Race and team relay. 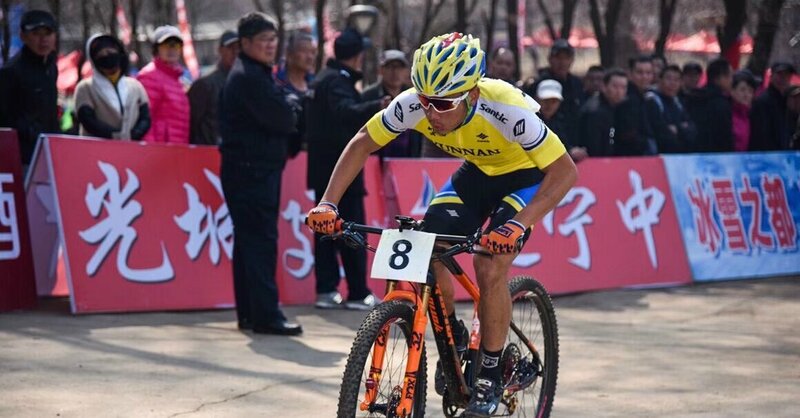 Finally, MOON helmet brand sponsorship, Yunnan won the individual time trial and group relay race, and the Yao Bianwa of Gansu team.Li Hongfeng won the women's individual time trial, and the MOON helmet brand sponsorship won the runner up of Shandong's team. At 9 a.m., the personal time race began. Yunnan's driver LV Xian Jing scored 15 points and 03 seconds, and won the championship. His teammates, Ma Hao and Chen Mingrun got the runner up and the season. Gansu's Wang Zhen won fourth place in 15 minutes and 34 seconds. Anhui's Nazhaerbie J Beken abstained, ranking thirty-fifth. 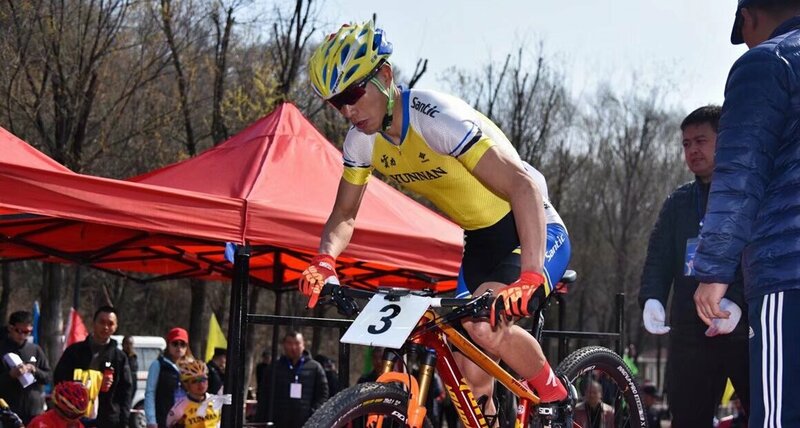 Guizhou amateur meters long and Yu Guangwei also took part in the game, they are in less than 17 minutes. The results were twelfth and eighteenth respectively. Wang Zhen failed to enter the top three in the two day's competition. Today he is in the fourth place. 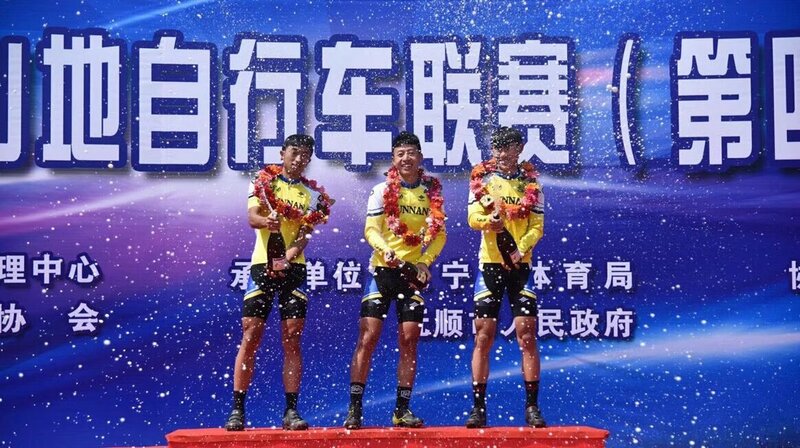 Yuan Jinwei of Yunnan team won the cross country championship yesterday, and today he has won the individual time trial champion. Winners of men's mountain individual time trials: Champion Yuan Jinwei, runner up Yang Wanwei, third place Chen Liyun. Yao Bianwa, the champion of Gansu, scored 18 points and 18 seconds. 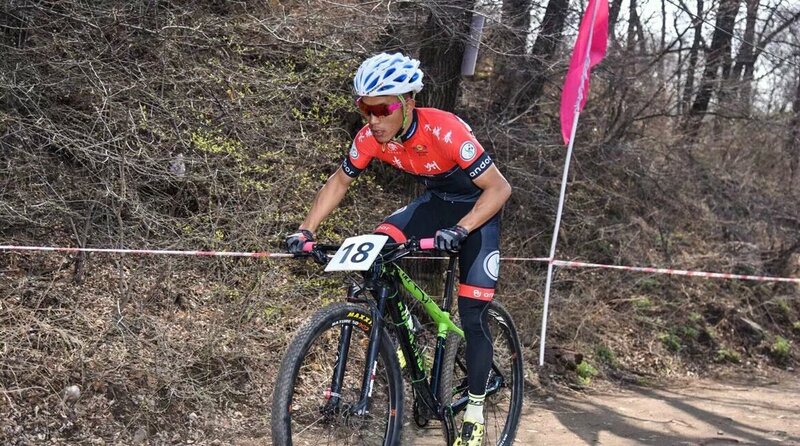 The day before that, Li Hong Feng won the second place in the mountain cross-country race.The third is Tao Chenghong of the Zhejiang team. Although Yunnan's women's adult players are behind in their ranking, their young players have done well. The performance of young women's champion Wu Zhifan scored 18 points and 56 seconds. 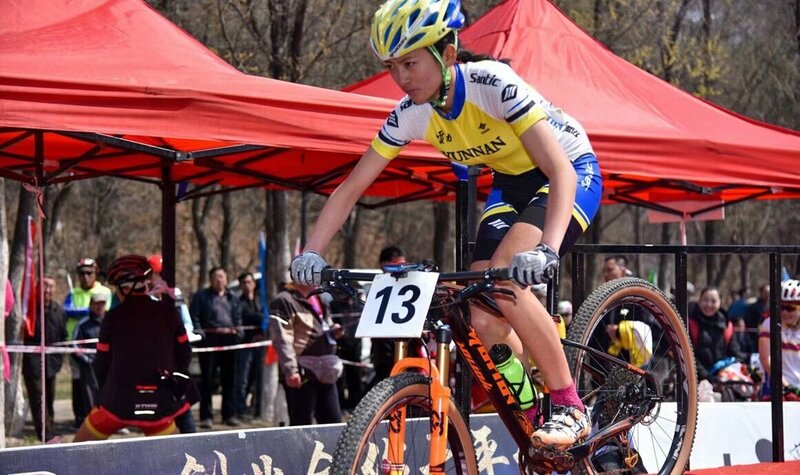 Cheng Jidan and Ding Zhuo took the women's youth team for Yunnan team.The runner up and the season. 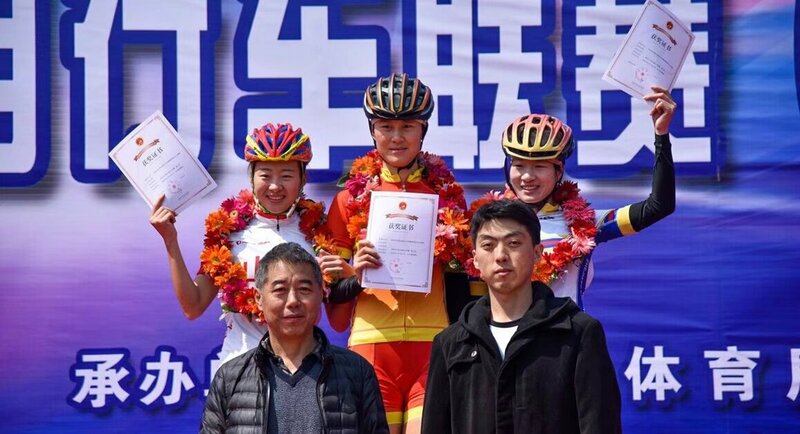 Adult women's mountain individual time trial: Champion Yao Bianwa (Gansu), runner up Li Hongfeng (Shandong), third runner up Tao Hong (Zhejiang). 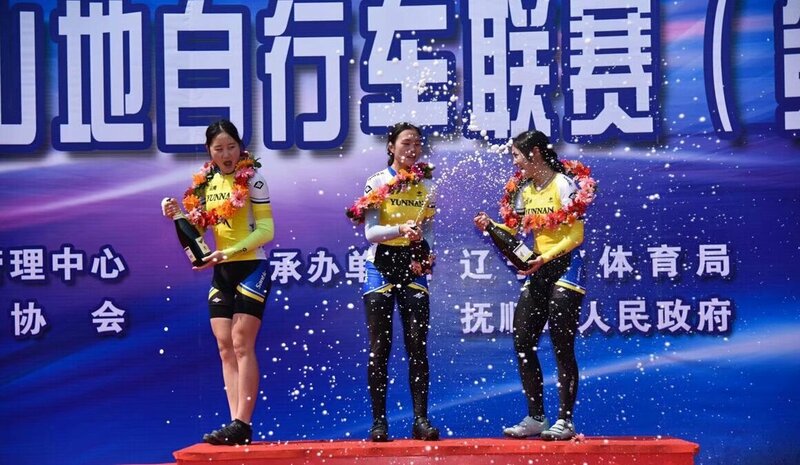 The top three of young women's mountain time trials are Wu Zhifan (Yunnan), runner up Cheng Jidan (Yunnan) and Ji Junding Zhuo (Yunnan).The afternoon is the last event of the competition -- group relay race. Yunnan won the championship, Shandong got runner up and Shanxi gained the third place. 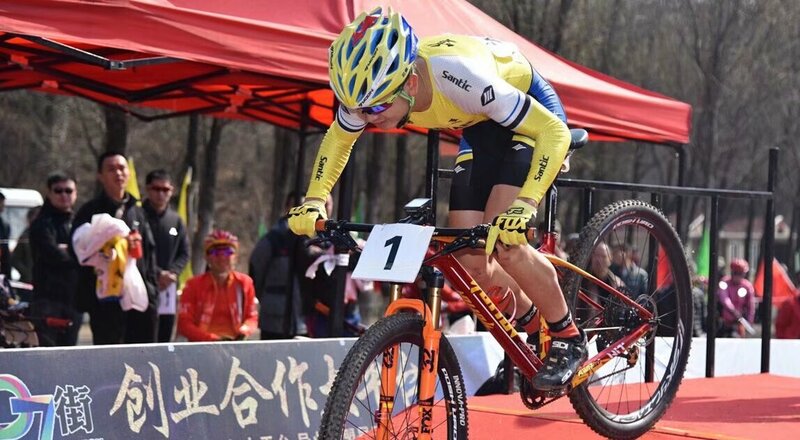 Finally, the competition of Chinese mountain bike League Fushun Railway Station ended. I hope the MOON driver will make progress in the future.